Refer to Turn Around & Shipping. We will cut and engrave vector files exactly how they are received. We are not responsible for ensuring that your design doesn’t contain parts that won’t cut well, etch well, fit together, be strong and/or comfortable to wear, and/or any issue to do with sizing and scaling – these are design decisions and should be considered as you plan your project. We are not responsible for ensuring that your design does not include details that are too fine to etch/engrave (we recommend a minimum engraving line width of around 0.5mm for best results). We are not responsible for ensuring that your design does not contain parts that are too thin/weak to physically stay together (we recommend a minimum width of 2mm). We cannot guarantee that any pieces approx. 5mm or smaller will be possible. Pieces this fine fall through the laser machine and are very difficult to find/collect. If your file has very small pieces, we encourage you to consider making them larger and/or including extras. We can not make changes to your order once it has been placed (‘placed’ means to have made payment). Quotes are valid for a period of 2 weeks.  We only provide quotes for laser ready vector files. Files must be set up as per our Set-Up Guides. Refer to payment methods displayed at checkout. We cannot cancel or modify your order once payment has been made. We produce items to order and manufacture starts on receipt of payment. Payment for our services is non-refundable. If your order is received faulty or significantly not as described, we will happily exchange or refund it within 30 days of your purchase. Just get in touch via VectorEtch@gmail.com with any order information you have available to ensure the prompt and efficient processing of your return. Refunds will be processed in the form of the original payment. If you provide a design that contains line widths thinner than 0.5mm, we cannot ensure that it will etch/engrave well and will not consider inconsistent or light etching a fault. If you provide a design that contains very fine and detailed cut-outs/shapes (thinner than 2mm), we cannot ensure that they will not break when handled and/or shipped. We do our best to present our materials accurately and provide relevant information about each material via the material gallery posts. We can not provide a refund, return or exchange if you are not satisfied with the material that you have chosen, or if you have not read the information provided about the respective material. Please allow for slight colour variation from your monitor to materials in real life – all screens display colours differently. You obtain the Copyright and full rights of use for provided designs (unless someone else owns them) and allow us the rights of use to make only the pieces requested. We will only use your design for you, and upon your request. We will not re-distribute your designs in their original state in any form. We love sharing the projects that we have worked on and may share a photograph of your laser cut project on our website or social media pages with credits. This may involve us peeling protective tape off your pieces for you.